One thing I notice a lot of people asking in some of my mommy groups I'm in is where you get photos printed. We all probably have thousands of photos on our phones, I know I have about 5,000 on my camera roll, but very rarely do we get them printed off anymore. For me, I am a big fan of canvas prints. I probably have 10 different canvases in my house, most are from our wedding, some are of Georgia, and some are our family photos. With the increase in photos that we take these days, there are also TONS of different services and websites that provide printing services. 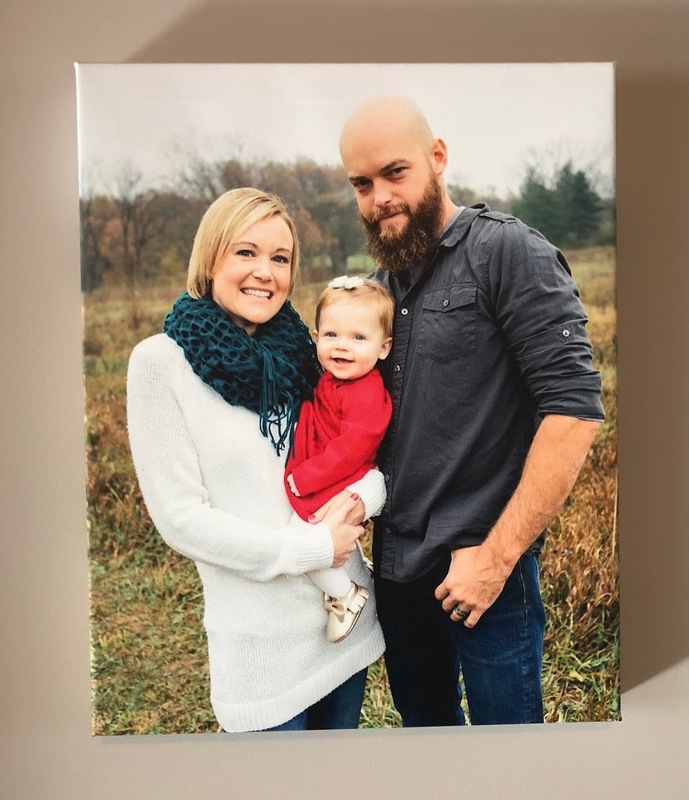 When I have professional pictures taken I typically use the print shop that the photographer uses because the quality is always really amazing, however the prices are usually pretty high. When photography.com reached out to me I was definitely interested, I'm always looking for a printing service that provides QUALITY prints at REASONABLE prices. Photography.com aced both of those categories for me. 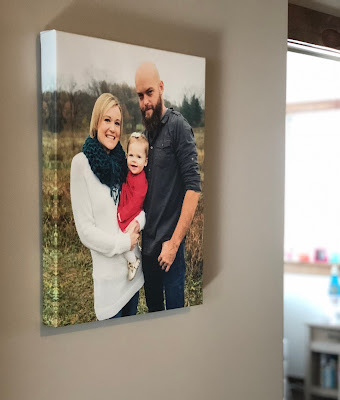 I was really impressed with the quality of the 16x20 canvas that they did for me. I sent them a picture from our most recent family photoshoot back in November and was absolutely thrilled with how well it turned out. 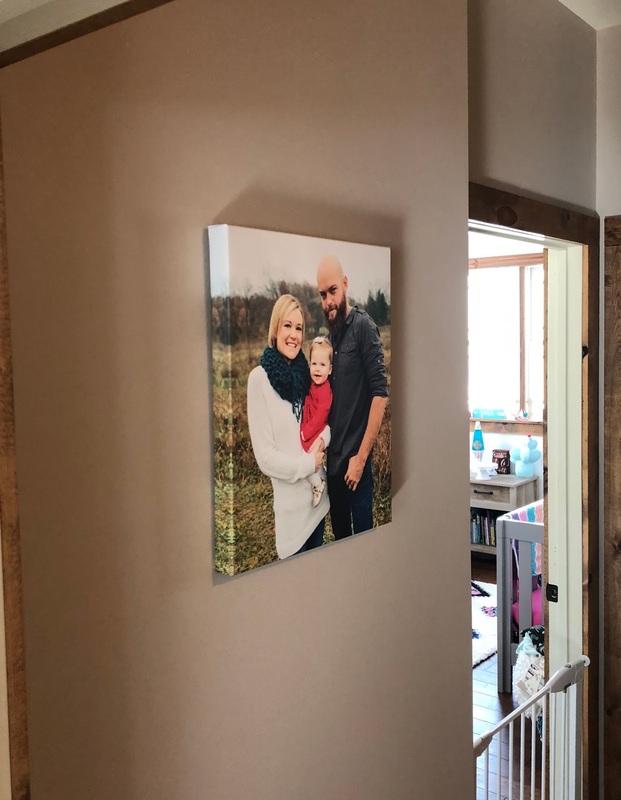 I decided I wanted to hang this piece at the end of our hallway and it really does fit the space well! Photography.com is offering a buy 1 get 3 free deal. Yes, you read that right buy ONE get THREE FREE. This is a totally amazing deal and it applies to canvases, framed canvases, metal prints, acrylic, wood, glass & more. Plus FREE shipping. I myself will be taking part in this amazing offer once we get Georgia's 1 year photos taken. You can even create new folders within Lightroom http://iphotoplugins.com/ to store your best pics.